Chia seeds has been the most common topic for the past few months among us here at Freedom Freaks. 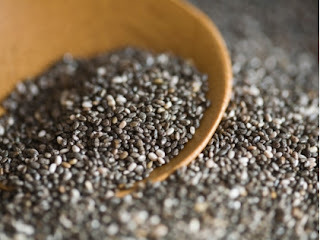 Most of us have been consuming chia seeds as part of their meals. Let us find out more about the good, the bad and whatever we need to know about this special food. 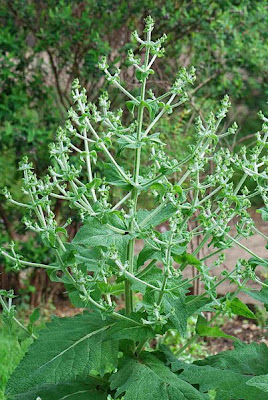 Salvia hispanica, commonly known as chia, is a species of flowering plant in the mint family, Lamiaceae, native to central and southern Mexico and Guatemala. The 16th century Codex Mendoza provides evidence that it was cultivated by the Aztec in pre-Columbian times; it has been said that it was an important crop. It is still used in Mexico and Guatemala, with the seeds sometimes ground, while whole seeds are used for nutritious drinks and as a food source. The word chia is derived from the Nahuatl word chian, meaning oily. The present Mexican state of Chiapas received its name from the Nahuatl "chia water" or "chia river." It is one of the two plants known as chia, the other being Salvia columbariae which is more commonly known as the golden chia. Chia is an annual herb growing to 1 m (3.3 ft) tall, with opposite leaves 4–8 cm (1.6–3.1 in) long and 3–5 cm (1.2–2.0 in) broad. Its flowers are purple or white and are produced in numerous clusters in a spike at the end of each stem. Chia is hardy from USDA Zones 9-12. Many plants cultivated as S. hispanica are actually S. lavandulifolia. The Chia Seed is a dieter’s dream come true. The tiny, healthy seeds can be made to taste like whatever you want, and their unique gelling action keeps you feeling full for hours. Hunger is a main enemy of real weight loss, and you don’t want to fight it with jittery expensive pills. When a chia seed is exposed to water, it forms a coating of gel, increasing its size and weight. Since the gel made of water, it has no calories. It’s also difficult to remove from the seed, meaning that it helps your body think it is full, without adding calories! But how does the Chia Seed help with this? Both the gelling action of the seed, and it’s unique combination of soluble and insoluble fiber combine to slow down your body’s conversion of starches into sugars. If you eat chia with a meal, it will help you turn your food into constant, steady energy rather than a series of ups and downs that wear you out. With the abundance of over-processed foods and white flour on the market today, rich sources of fiber are harder to come by. These foods of convenience have contributed to the rise of diverticulitis. Irregularity is a big factor in this risky condition. To help ensure regularity, you need plenty of soluble and insoluble fiber in your diet. If you don’t want to eat celery, and whole-grain everything…or piles of bran flakes, the Chia Seed is here to help. Each seed is coated with soluble fibers which aid its gelling action. The exterior of the seed is protected by insoluble fiber. The insoluble fiber is unable to be digested (it does not contribute any calories, or break down) so instead, it helps keep food moving smoothly through the digestive process. Soluble fiber, and the gel coating of the seed keeps the colon hydrated and ensures the easy movement of food. Omega-3 oil is usually thought of as “that healthy stuff in fish”. But, what if you don’t want to eat fish every day? What if you’re a vegetarian, or simply worried about pollution adding harmful substances to your fish dinner? Chia is the richest plant-source of this healthy oil. By weight, chia contains more omega 3 than salmon, and it still tastes like whatever you want! Omega 3 oil is important in heart and cholesterol health. It’s also recently been targeted as a weight-loss helper. USA Weekend magazine also reports on a study where overweight dieters who included omega 3s in their eating plan lost 2 more pounds monthly than the control group, who did not. Do you enjoy making baked goods at home, but hate all the butter and oil that has to go into them? Chia gel can substitute for half the butter in most recipes! The food will bake the same and taste the same (or better) from the addition of the chia gel. All you need to do is divide the amount of butter or oil in half, and then use the same amount of chia gel to fill in. The anti-oxidants in chia can even help keep the food tasting fresh longer. Everything from cookies to cakes to muffins, pancakes and waffles can be made with chia gel as your butter replacement. Which recipe will become your new favorite? Anti-oxidants have been in the news lately due to their super healthy benefits. You know that blueberries and several exotic fruits (that aren’t always in season) have them, but did you know that chia is extremely high in anti-oxidants too? These helpful substances are what makes the Chia Seed stay fresh for so long. At room temperature, they’ll stay fresh and ready to eat for over two whole years! And that’s all without a single chemical or preservative. This amazing ability is not found in other seeds like flax or sesame, because those seeds don’t have the same rich anti-oxidant content. Anti-oxidants help prevent free-radical damage in your body. Free radicals lead to problematic conditions such as premature aging of the skin and inflammation of various tissues. Fight free radical damage by staying fresh and healthy with nature’s anti-oxidant powerhouse. Being deficient in minerals or vitamins can create a craving for food. For example, if you’re low on calcium, you may feel compelled to eat lots of cheese and ice cream. This happens because your body knows that cheese is a source of calcium, and it hasn’t been getting enough. But what if dairy and whole milk are a “Diet don’t”? You can always add calcium to your food by sprinkling on the chia. By weight, chia has more calcium than whole milk. It also has magnesium and boron, essential trace minerals used in the absorption of calcium and other vitamins. By balancing your vitamins and minerals with chia, you can curb cravings that might tempt you. Chocolaty! Swirl them into a smoothie? Fruity! The same thing goes with dressings, dips, salsas, sauces and more. These two factors combine to let chia seeds take on the taste of whatever you add them to. They distribute and never dilute, the flavors you love. Why should eating less cost you more? You already know diet pills are expensive, and ‘box meal plans’ can run up to $500.00 a month. If you’re buying ‘calorie counting packs’ or other individual portions in the store, you can also end up paying more because more preparation and materials go into these foods. More than enough chia for 1 month costs less than a dollar a day. You can use as much or as little as you want to achieve your own desired results. There are no preparations required for these simple seeds, not even pesticides need to be used to grow them. They’re always safe and 100% chemical free. A measuring spoon is all you’ll need when you’re ready to take advantage of chia for yourself. It doesn’t get any easier or more inexpensive. Where to buy Chia Seeds ? We've been hearing a lot about chia seeds. Many of you don't just buy your chia anywhere else. You need a company or a seller that offers quality chia seeds. We recommend you to check carefully the reviews of customers before you place your order. If in doubt, Google is your best friend. Chia seeds are sometimes recommended for alternative treatment of cancer. It boosts your energy level and provides essential nutrients in your body, which helps with cancer treatments. Chia seeds are good but at the same time there are some side effects of these seeds. It can lower the blood pressure in your body, especially, if you are someone in an upper age group, be careful as Chia seeds are capable of lowering the pressure of the blood to the dangerous level, especially if you are taking blood pressure medication as well. This seed is a great source of vitamin B-17. If you are taking a regimen of B-17, then you should be cautious before taking the seeds. You may overload your body system with phytonutrients. If you have reactions when you eat Chia seeds or any product which contains Chia seeds, then you must avoid Chia seeds completely. People who are suffering with heart problems may want to avoid these seeds as it has addictive effects on its users. People who take blood thinners like warfarin should exclude this from their diet as Chia seeds might increase the risk for bleeding. 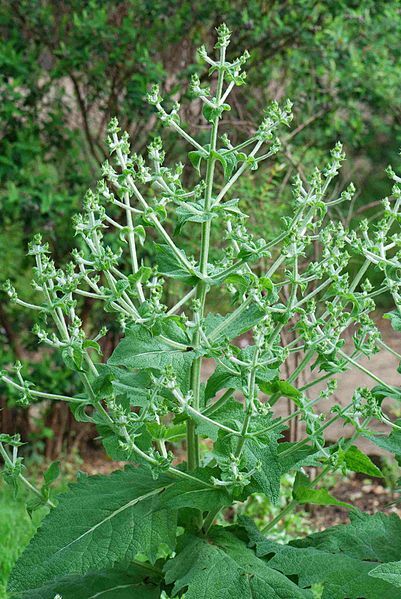 It may be allergic and the reason behind this is that it is the member of the salvia genus. Some people experience minor side effects from eating chia seeds, some feel like they are holding more water than usual, this is because chia seeds so readily absorb water, up to 50 times it's own weight. Of course, this is also an advantage, as they can be used for hydration purposes and some people put chia seeds in their water to take on trips, as the chia seeds help the body hydrate, or rather, keep water. There are many infos, reviews like this and videos regarding chia seeds. Once again, GOOGLE is your best friend. Sources are from Wilipedia and Google.